Mission accomplished! * (sort of. *) Chinese, Pizza or McDonald's? 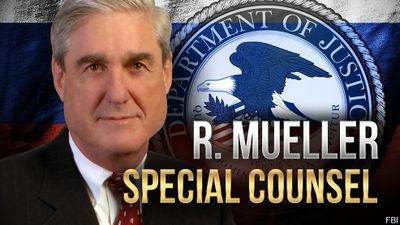 WASHINGTON -- Special Counsel Robert Mueller has turned in his report to Attorney General William Barr. After 674 long days, Mueller has submitted his findings in the matter of Russian meddling and other fuckery that resulted in Donald Trump "winning" the 2016 election. But while this document is now in the hands of Barr and the Department of Justice, to quote The Carpenters, we've only just begun. We still have the Southern District of New York (SDNY); the New York Attorney General (Letitia James); The Eastern District of Virginia (EDNY); U.S. District Court in Washington, D.C.; and Congressional investigations. Despite some news reports, more indictments are definitely coming, even if they're not directly from Mueller himself. We still don't know the contents of the report, but Amazon has several book listings for the document, including one authored by The Washington Post. We don't know what's in the report, but we have some idea of what's not. Nowhere in the report will it ever say that Trump and his goons were ever innocent or that there was "NO COLLUSION!" Tempting as it may be, I doubt the words "You're fired" appear in the report any more than the mention of the short-lived 1997 Broson Pinchot sitcom Meego. Stay tuned to UnNews as this saga continues. This page was last edited on 23 March 2019, at 09:57.